Yesterday I slept quite a lot. Its to be expected when one is expecting, but it does make a day disappear. In the evening I made this card, a last minute project for a guest at the Inn who celebrated her birthday today. Apparently she likes dolphins. 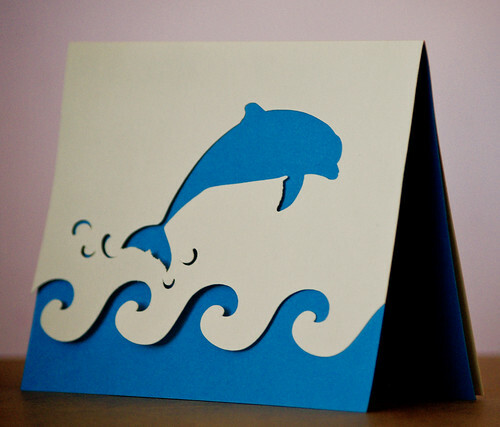 I like the card, it has me inspired to try more simple graphic silhouette-type cutting designs. I used two colors of plain cardstock. I would like to get something a little fancier though, maybe a slightly shimmery paper.